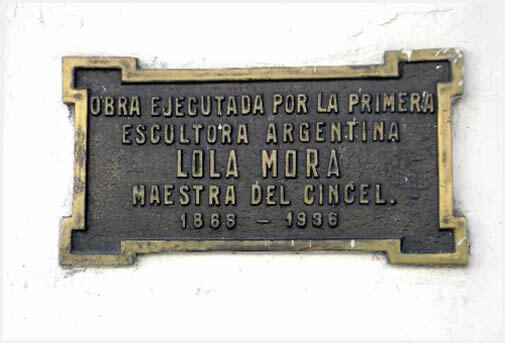 Lola Mora was a very talented woman who dared to develop various activities which used to be completely forbidden for the women of her time. But not only was there transgression but talent above all. 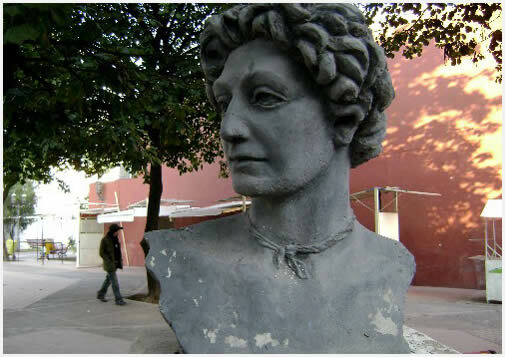 No wonder she was the first Argentinian and South American sculptor. She stood out as an urban planner and researcher and furthermore, she was an unquestionable pioneer in national mining. She took part in the rail layout project of the Northern Trans-Andean Railway or Huaytiquina, where the marvelous Train to the Clouds travels today, one of the main tourist attractions in Argentina. Likewise, as an urban planner, she was the author of the first underground and underwater gallery project for the City of Buenos Aires and she also foresaw the layout of the streets in the City of Jujuy. And she was a woman in a world so far ruled only by men. Lola Mora stood out mainly in the world of sculpture and painting. In fact, she left numerous works of art presently displayed in several locations around the country. For instance, in Costanera Sur in the City of Buenos Aires, there lies the famous and very beautiful Fuente de las Nereidas (Mermaids' Fountain), whereas she was also a protagonist in the events revolving around the traditional Flag Monument in the City of Rosario. But it was in Northern Argentina where her career became noticed. The statues of Justice, Progress, Peace and Liberty located around the House of Government of the Province of Jujuy give evidence of her talent. In the Province of Salta, the statue of Dr. Facundo de Zuviría, who was the president of the Santa Fe Constitution Convention, is displayed in San Martín Park. 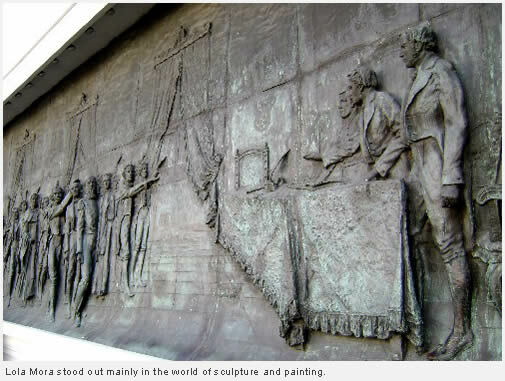 Moreover, the 20 de Febrero Monument may also be admired in the city. It was a work made in Paris, under Lola's supervision and then moved to the Northern province. There is no doubt that Tucumán was one of the places where the artist left her matchless stamp. 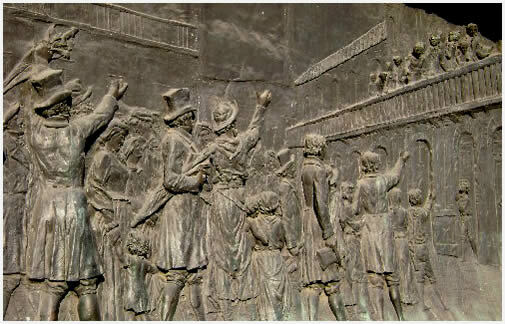 And it was precisely in the famous Historical House that two samples of her talent speak for themselves in the backyard of the house where National Independence was proclaimed on July 9, 1816: the sculptures of Independence and the May Revolution. Her full name was Dolores Candelaria Mora Vega de Hernández and she was born on November 17, 1866 in what used to be the Episcopate of Tucumán. This territory is presently located in the Department of La Candelaria, in the Province of Salta, dwelled by only 2,500 inhabitants. Lola spent her childhood in Tucumán with her six siblings and she studied at Colegio del Huerto, where she showed her strong inclination towards art. At the age of 29, after obtaining a scholarship granted by the Argentinian government, she moved to Rome (Italy) to learn from the best teachers. She was nourished with the artistic works of the Old World and managed to develop her talent as an artist even more, which she brought to our country in spite of hundreds of opportunities she had to keep on traveling around Europe. She passed away on June 7, 1936 and her life inspired artists from all over the world, both in our country and abroad. Her presence and recognition are constantly growing. No wonder the National Congress of Argentina established her birth date as the Sculptors and Plastic Arts National Day in her memory. A real act of justice for a woman who left the her track in history and in the life of a country with her own hands. The House of Tucumán offers daily tours for visitors who wish to learn about the history of this country. Its main backyard contains two of the most beautiful engravings by the artist.